Join the fight against cancer!! The odds of getting cancer are 1 in 2 for males and 1 in 3 for females. The odds of dying from cancer are 1 in 4 for males and 1 in 5 for females. The odds for getting cancer are staggering (1 in 2 for males and 1 in 4 for females), so you or someone you know are likely to have been affected by cancer. For me many of the women in my life have been affected by cancer. My mother is a breast cancer survivor and my partner Kate is a thyroid cancer survivor. Seeing people you love go through this is very difficult. That waiting room can be very lonely when someone you love is going through 9 hours of surgery or has to be in isolation due to radioactive treatments, both of which were the case for Kate. I have also lost many uncles, aunts, and cousins to cancer prematurely. Cancer affects us personally and adds a tremendous burden to the healthcare system. One organization that I am proud to support is the American Cancer Society, which was founded in 1913. Their mission is to “Save lives and celebrate life. Every single day.” 74 cents of every dollar donated goes to cancer research, patient support, prevention education, detection, and treatment. 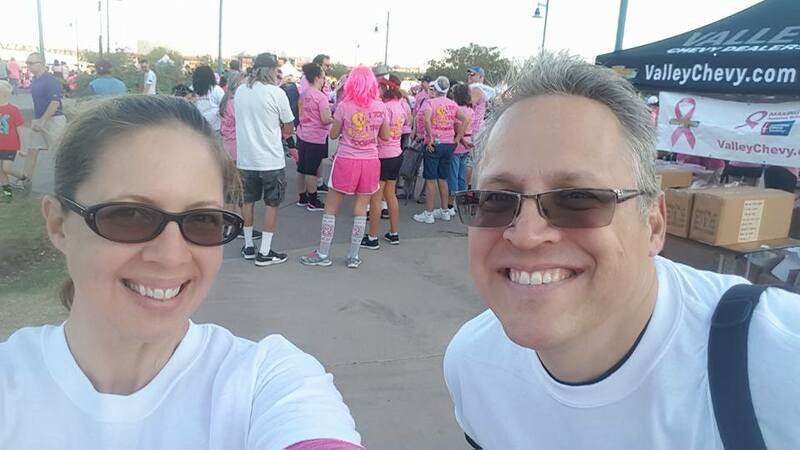 So I was fortunate to recently participate in the American Cancer Society Making Strides Against Breast Cancer walk in Arizona. 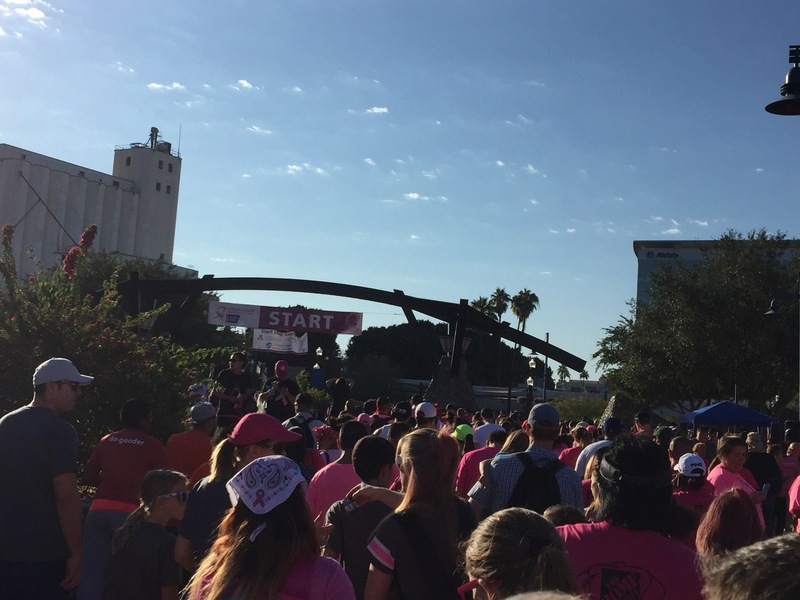 This morning walking event raised over $425K to fight breast cancer. If you have the opportunity, please help in the fight against cancer. Also take care of yourselves. A recent study found 70% to 90% of cancers are caused by lifestyle. These lifestyle issues were primarily around diet, smoking, alcohol, and weight. This highlights how important it is to feed and treat your body right. I wish you, your family, and friends a healthy and long cancer free life. Take care friends.